This 3-in-1 travel adapter offers a portable solution for connecting your Mini DisplayPort computer to a VGA, DVI or HDMI® display. 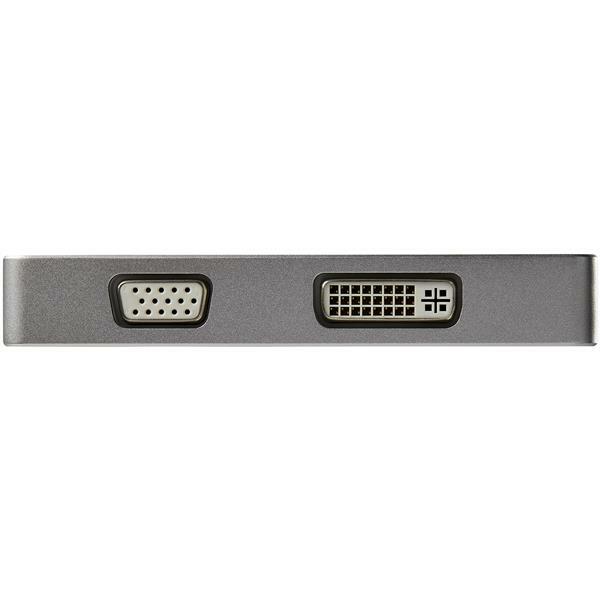 The adapter is VESA certified, to ensure compatibility with your mDP computer. This travel adapter has been constructed with a sturdy aluminum housing and features a pure white Mini DisplayPort cable built in. 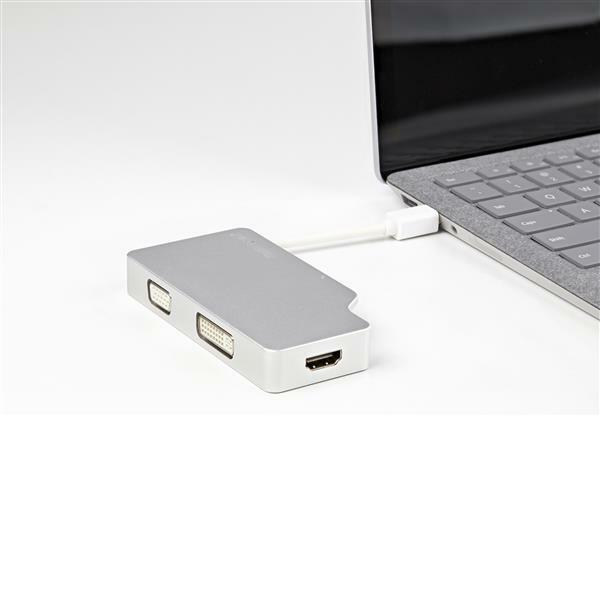 While the adapter looks great and works well with any mDP device, it's designed to seamlessly match your MacBook Air or MacBook Pro. 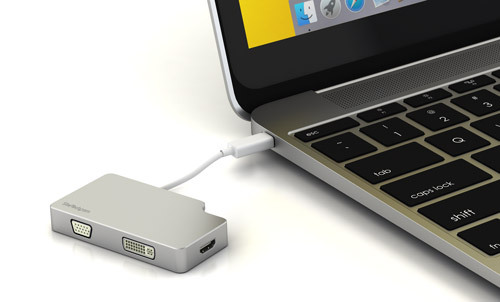 Instead of filling your laptop bag with different converters for different displays, this 3-in-1 adapter gives you all the video outputs you'll need. 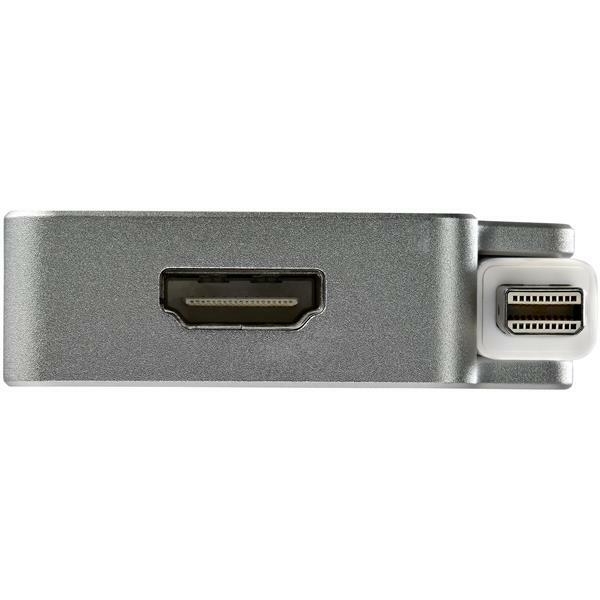 With VGA, DVI and HDMI outputs, this adapter lets you connect from your laptop's Mini DisplayPort port to any boardroom or classroom display, without the inconvenience of carrying a separate adapter for each display type. With support for multiple video outputs and a lightweight, small-footprint design, this adapter is the ideal plug-and-play solution for travel or BYOD (Bring Your Own Device) applications around the office. 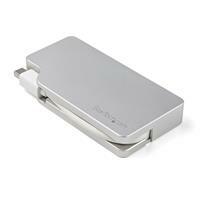 The adapter features a built-in magnetic fastener, for cable management. The magnet helps guide the breakout cable into place for quick and secure storage while traveling, ensuring the adapter is neatly stored in your travel bag. 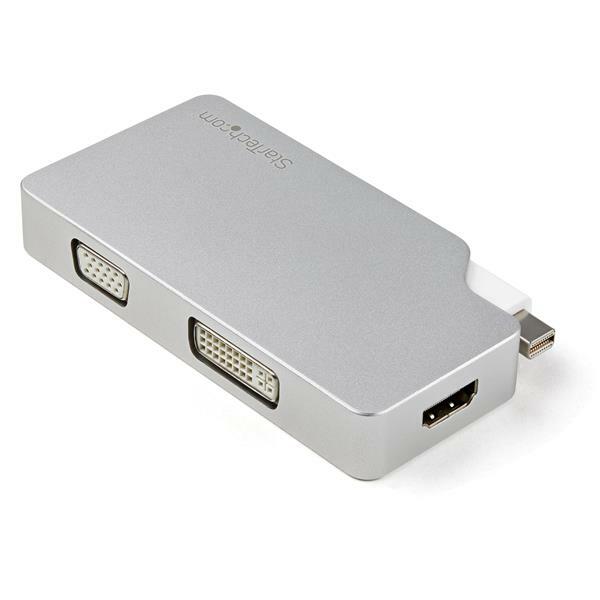 The travel adapter is compatible with mDP Intel® Thunderbolt™ devices that are capable of outputting a DisplayPort signal. The MDPVGDVHD4K is backed by a StarTech.com 3-year warranty and free lifetime technical support.